Use this Compression Faucet Connector with FHT swivel to connect Dig's 3/8" misting line to your 3/4" hose thread outdoor faucet or garden hose. Dig’s misting mainline compression fittings pair with Dig’s Ocean Breeze 3/8” tan misting line with .450” OD. 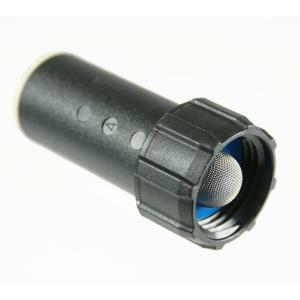 Compatible with Dig's Ocean Breeze Misting Kits.